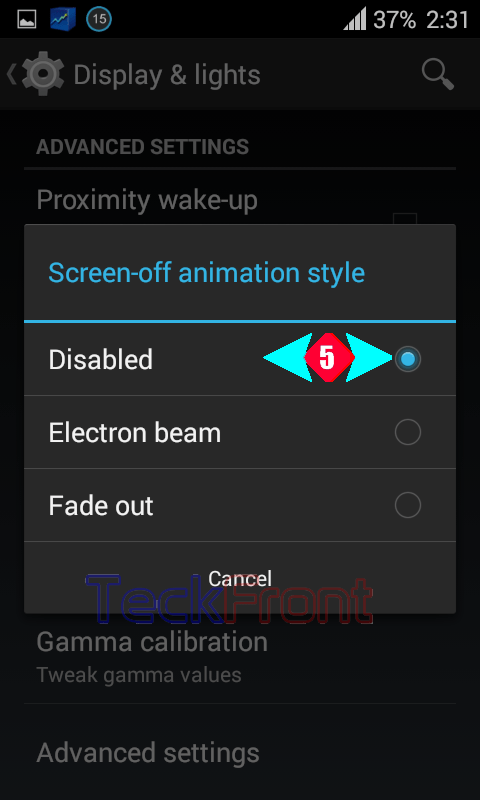 How to Set Screen-off Animation in Android 4.4.4 KitKat Phone? 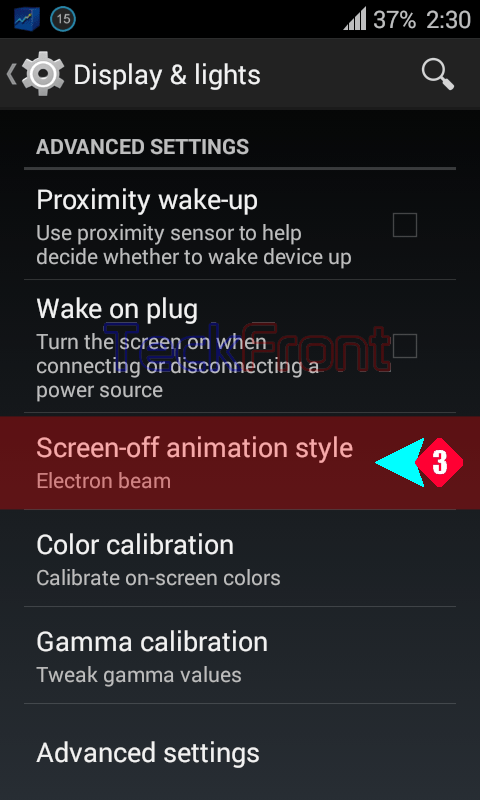 You may enable and set screen animation style according to your choice and taste in Android 4.4.4 KitKat phone. There are many option to set this feature but if you wish to enable the screen animation, you may. But, you must remember that if the screen animation is enabled, you may consume more of your battery of phone rather quickly. Command Line: Settings > Display & lights – DEVICE > Screen-Off Animation Style – ADVANCED SETTINGS. 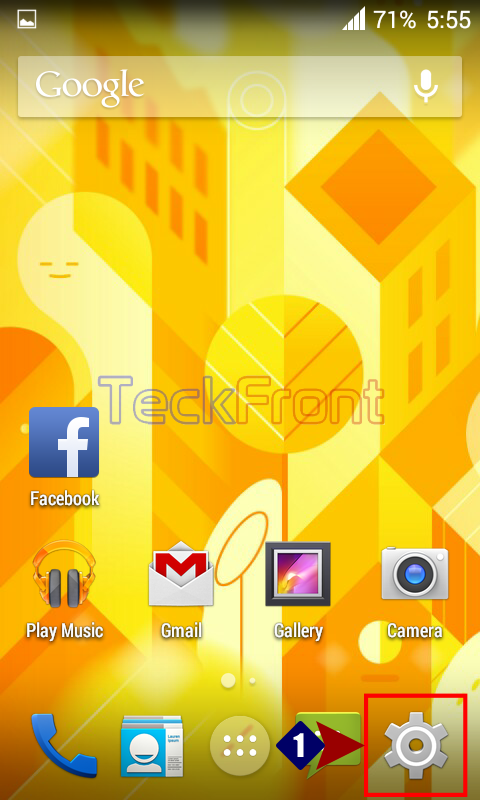 1: Tap ‘Settings’ at the Home screen to open the Settings screen of your Android 4.4.4 KitKat. 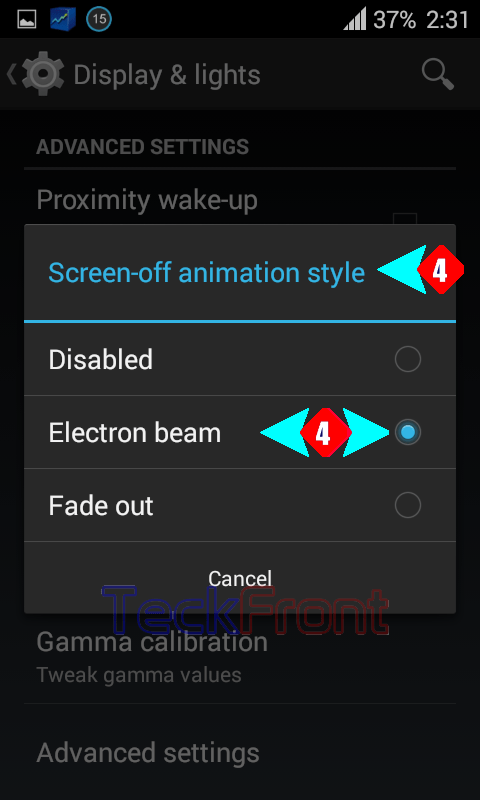 3: At the ‘Display & lights’ screen, see the status of ‘Screen-Off animation style’ which is ‘Electron Beam’. Tap the ‘Screen-Off animation style’. It will open up a prompt popup. See ‘Electron beam’ is currently, selected. 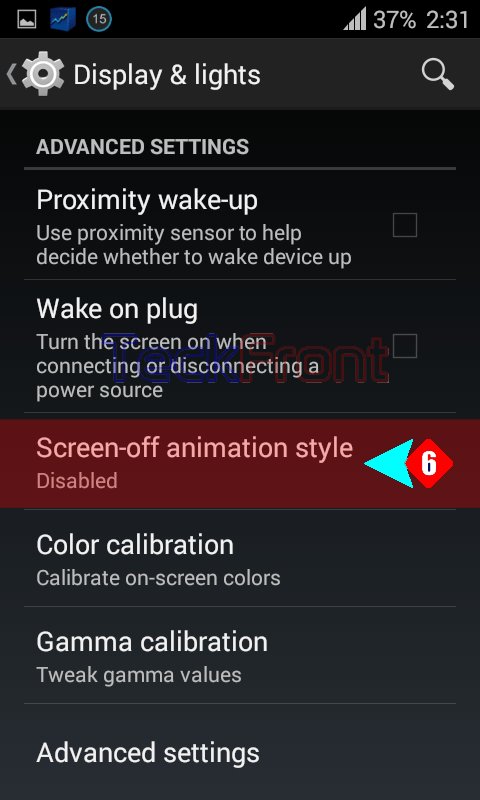 5: Tap ‘Disabled’ if you want to disable the ‘Screen-Off animation style’. It will take you, instantly, back to ‘Display & lights’. 6: At the ‘Display & lights’ screen, see the status of ‘Screen-Off animation style’ is ‘Disabled’ now, i.e. the screen animation is disabled now. You may set other animation style as well on your Android 4.4.4 kitKat phone. 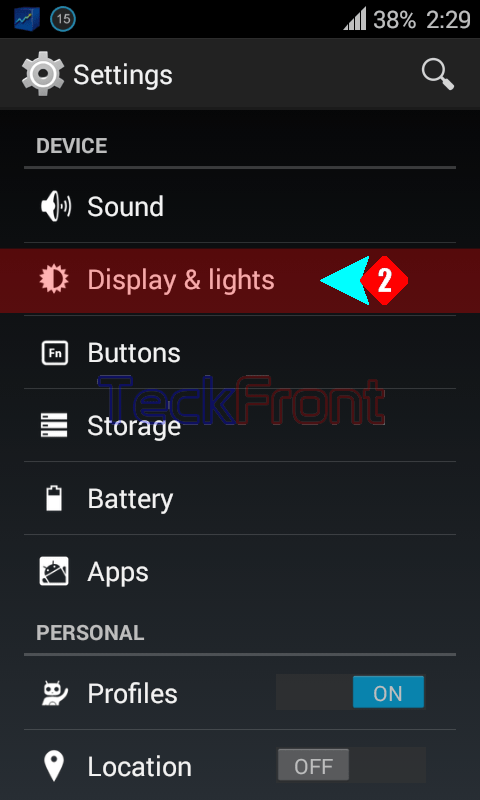 Newer How to Add New Profile in Android 4.4.4 KitKat phone? Older How to Check Available Space for Installing Apps in Internal Storage of Android 4.4.4 KitKat?